Nothing warms my heart more than waking up to a "thank you" email. Even better? A "thank you" email with a little attachment of pictures of our cuties at their big event! Eeeeeeeeeeeeeeeep! Doesn't matter what the event is- baby shower, engagement, wedding, birthday... Viewing those pictures kind of makes me want to ndciwuebfviebnodifvn <--Know what I mean? Thank you THANK YOU to the super awesome mama that not only ordered this custom listing which gave us the opportunity to challenge ourselves and create something brand new...but also for following up the event with such a wonderful email. Makes doing all this totally worth it. Cute, right?? These little octopi (we all sort of came to an agreement that the proper plural for octopus is indeed, octopi) were ordered for a little girl's sweet birthday party. They were then placed on top of homemade cupcakes! I just love it! Interested in some for your own party? Just click here! 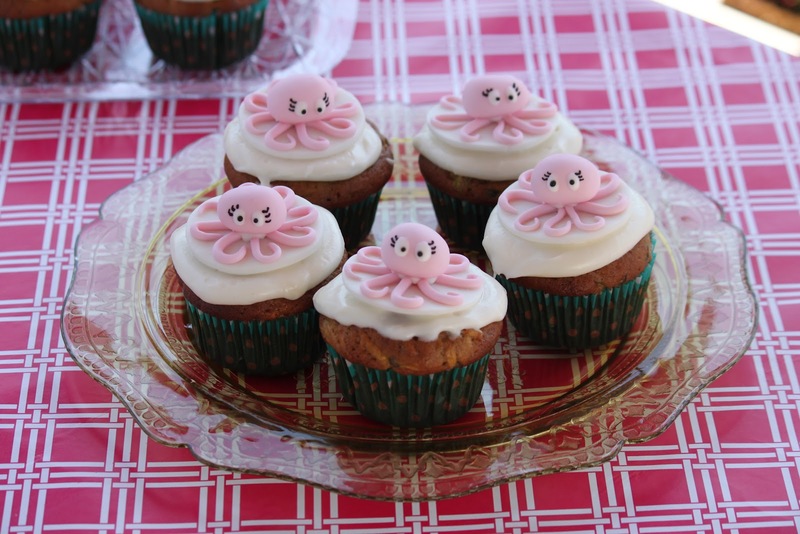 These cupcakes are soo cute! I love it. 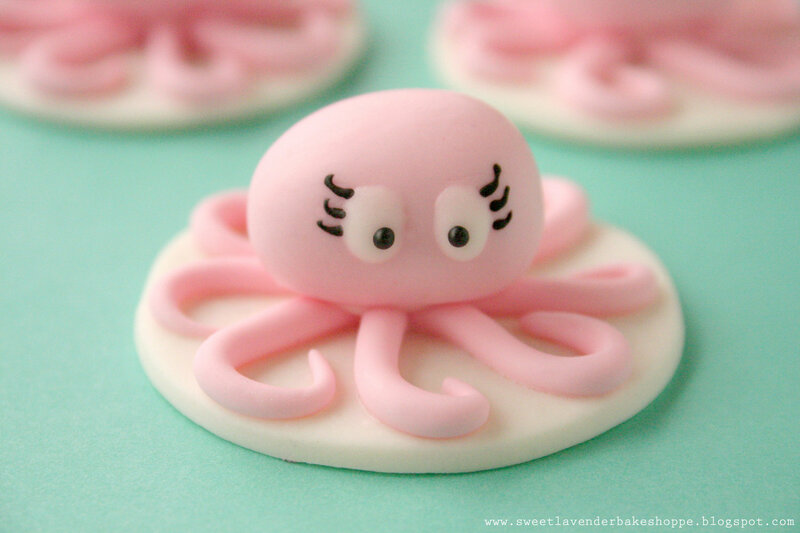 Absolutely, without a doubt, the prettiest little octopi...ever!!!! Thank you SO much friends!! !